And don’t you just love how our brains not only accept but feel proud of such a workaround on the day of travel, but if given that pricey option well in advance, we would balk big-time? I recently forked over several hundred dollars in Ethiopia for a better seat (after seeing what I had actually paid for), but I had categorically refused to pay that upcharge a few months earlier in the planning stage. Glad things worked out for you! Ha, thank you! 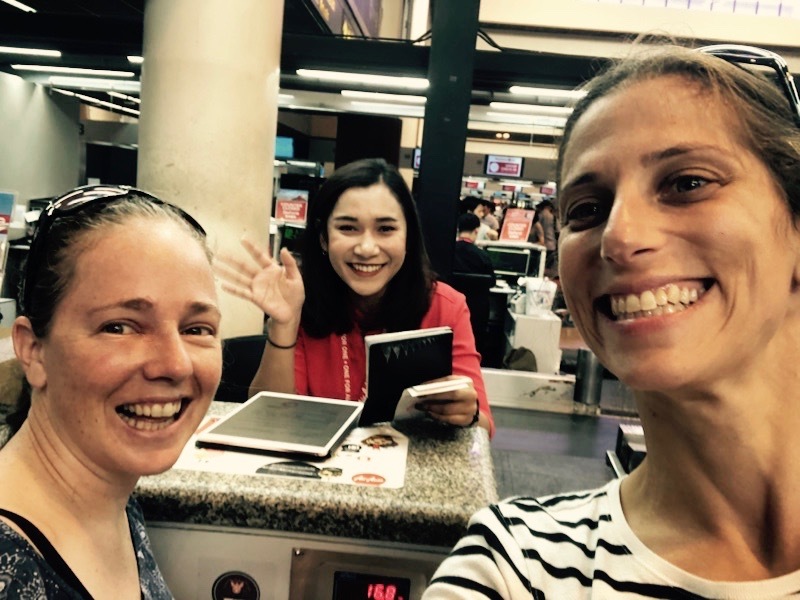 It was a bit hairy but it worked out, plus we made a new pal in the airport 😉 it is amazing how ones sense of what’s “reasonable in the big scheme of things” changes when faced with severely boggled travel plans! Had this happen to my wife when we were heading back into Vietnam. We knew we needed visa’s but the one provided by her work wasn’t valid. Cue the same frantic calling, being informed of the $500 fee and its near impossible chance(because it was Sunday). In the end we just booked new flights and new hotels and enjoyed a longer vacation in Bangkok. You had me on the edge of my seat with this story! So glad it all worked out. You have a great gift for writing! Thanks so much for sharing an almost-disaster that most of us will probably have some day. So thankful that you had such helpful and understanding airline agents. There are still great people in this world!